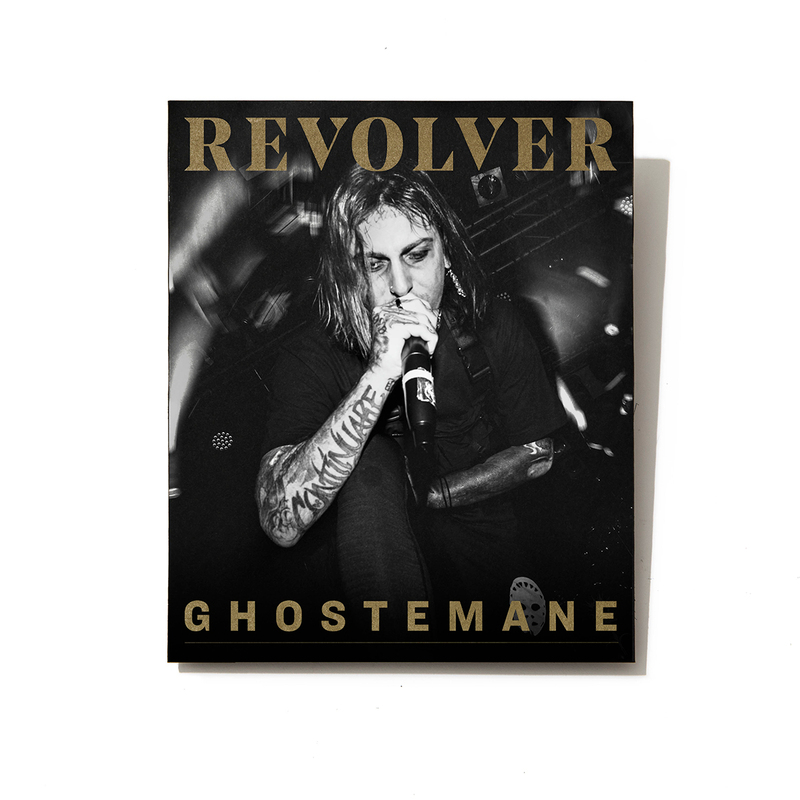 This limited edition of 300 hand-numbered silkscreen slipcases features an alternate Ghostemane photo on the cover shot by Nick Sayers. Printed by Burlesque of North America, this four-layer with metallic silver and gold on French Black Licorice paper is custom to perfectly fit, display and protect your magazine. Revolver’s FEB/MAR 2019 issue is themed “No Gods, No Masters.” It’s the fiercely independent, beholden-to-no-one attitude embodied today in artists such as Ghostemane, who refuses to be put into a box, or to be told what he should or should not do when it comes to his creative visions. 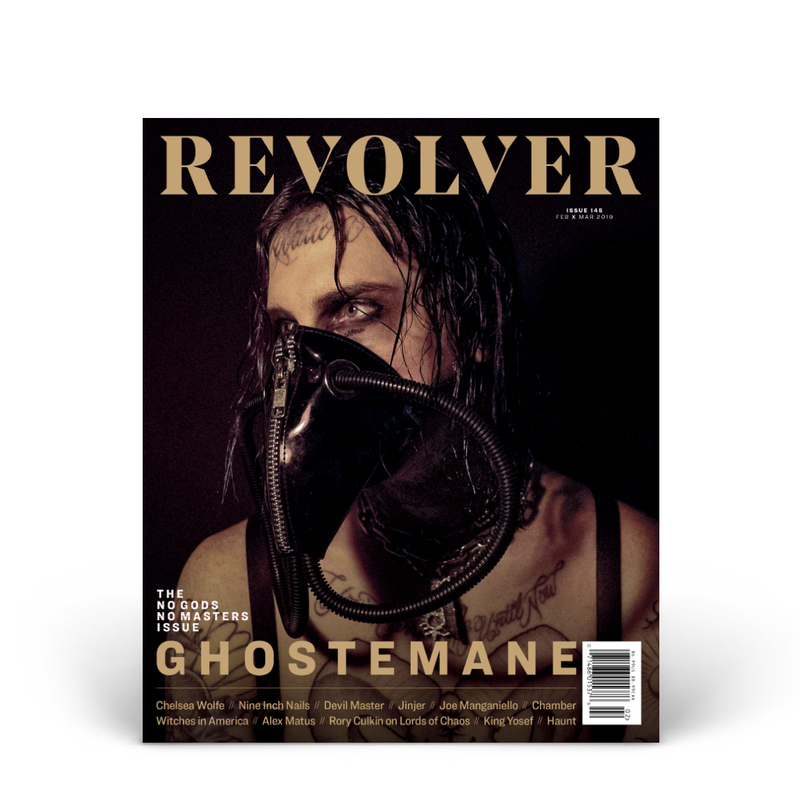 “Live without limitation,” he writes in Through The Frame, an exclusive manifesto (and cipher) the independent artist contributes to Revolver.